See day trip ideas in Central Pennsylvania. Explore the treasures of the Susquehanna River Valley. Follow winding rivers, pathways and roads while making many small amazing new discoveries! One of the Best Central PA Day Trips! 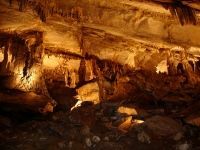 America's only all-water cavern and wildlife park, Penn's Cave provides you with a uniquely fun and educational experience. Take the guided, one-hour cavern tour via motorboat on an underground stream. You can also take the farm and wildlife tour, a guided 90-minute motorized tour over the thousand acres of forests and fields. Witness such animals as deer, elk, wolves, bears, bison, and mustangs along the way. The limestone cavern is a stunning PA landmark, displaying nature's flawless beauty and color. At the end of your day trip, treat yourself to a Bison Burger, Texas Longhorn Burger, or Chili Dog at the Cave Cafe. One of the Best Central Pennsylvania Day Trip Ideas! 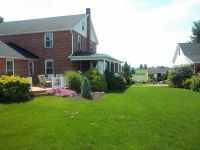 Located in Lancaster's Plain & Fancy Farm, The Amish Experience allows people from all over the globe to take in the natural beauty of Amish farmlands. 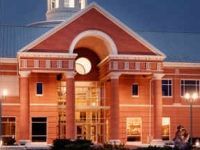 The Amish Experience is Lancaster's oldest, largest, and most complete touring center. Visit real Amish families, all of whom are friendly and will gladly welcome you into their homes. The Old Order Amish House tour gives you fascinating insights into contemporary Amish life. If you're contemplating day trips ideas in Central PA, The Amish Experience is perfect for anyone with even the slightest interest in Amish culture! A Central PA Day Trip for the Whole Family! 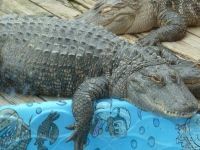 Established in 1965, Lake Tobias Wildlife Park has been entertaining its many visitors with wild, exotic animals and exciting safari tours. During the tours, specially designed cruisers take you across 150 acres of rolling land and you can experience herds of animals from around the world! Take the family to the Petting Zoo, and pet and feed the hungry herd of friendly creatures. Visit one of the terrific exhibits, where you can see monkeys, tigers, ostriches, and many other interesting members of the animal community. 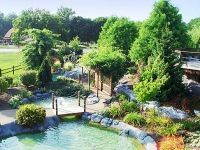 If you're looking for a great, affordable day trip in Central PA, Lake Tobias Wildlife Park is the place to go! One of the Most Fun Day Trips in Central PA! Embark upon some of the world's best amusement park rides at Knoebels Amusement Resort! 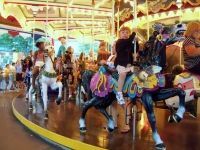 From the Grand Carousel to the world-class thrilling roller coasters, there's never a dull moment at America's largest free-admission amusement park. Aside from the awesome selection of rides, there's a shooting gallery, bald eagle habitat, laser tag, mini-golf, a history museum, and much more! Knoebels also has a water park with waterslides, diving boards, and a shallow pool area for the little ones. The park is known for its massive variety and impeccable quality of food, even including international selections! One of the Most Fun Things to Do in Central Pennsylvania! DelGrosso's Amusement Park has been providing fun, food, and memories for over six decades! Within the fun, affordable amusement park you will find more than 30 rides, go-karts, mini-golf, and the best amusement park food you'll ever find! The water park contains 3 tube slides, 2 body slides, and a large play pool that your kids will love! Check out DelGrosso's website for cool upcoming events like concerts, firework displays, and holiday specials. Admission into the park is free, and all-day passes for rides are available. One of the Most Educational Day Trips in PA! The National Civil War Museum in Harrisburg is the only U.S. museum that presents its visitors with a balanced and unbiased view of the infamous war. No museum in the United States will give you a better understanding of the Civil War, and its effect on the nation and people. Encompassing the period between 1850 and 1876, the museum incorporates large collections of artifacts, manuscripts, documents, photographs, and other printed matter. View materials on common soldiers, men and women on the homefront, and the experiences of African-Americans. One of the Top Central Pennsylvania Day Trips! Former President Teddy Roosevelt once referred to the Pennsylvania State Capitol as the handsomest building he ever saw. With its giant vaulted dome, grand staircase, stained glass, murals, and painted floors, this spectacular Italian Renaissance-style building must be seen to be believed! 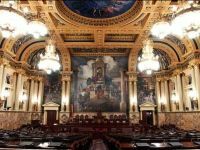 In addition to being an architectural and artistic treasure, The Pennsylvania State Capitol is a public building belonging to the citizens of the Commonwealth. The magnificent structure serves as a representation of history and power, as well as an icon of democracy and freedom. A Central PA day trip is not complete without a visit to this national historic landmark! One of the Best Family Day Trips in Central PA! 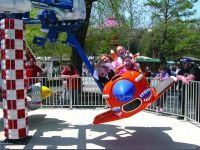 Known as a kingdom for kids, Dutch Wonderland is a top Central PA day trip that the whole family will enjoy! The park features 30 fun-filled rides, including 2 kid-friendly coasters, water rides, and a merry-go-round! Live entertainment occurs every day at Dutch Wonderland, with such spectacular shows as "Thomas & Friends Live" and "A Dragon's Tale." Your kids can cool off at Duke's Lagoon, a multi-level water platform with kid-sized slides, spray nozzles, jets, tipping cones, a large tipping bucket. When you get hungry, stop by one of the numerous eateries and food stands throughout the park. One of the Best Central PA Day Trips for Kids! Hersheypark is Central PA's most delicious amusement park! Visit Hershey's Chocolate World attraction or ride on Hershey's Great American Chocolate Tour Ride. Visitors are able to create their own candy bars using real factory equipment. Hersheypark has many thrilling roller coasters, family rides, kiddie rides, and nine fun-filled water attractions. Entertainment is available all day throughout the park. Song and dance shows such as Strolling Shows and the Summer Concert Series take place on special dates. The new fun-filled dining experience provides a delightfully themed atmosphere with carousels, coasters, and characters.